This post is a beginner/intermediate level introduction to engine oils. The concept of engine oil and its use is same for all possible types of engines; may it be a motorcycle or a propeller type aircraft, and of course anything in between (e.g. car?!). Cars are the most common type of motor vehicle in the world and hence most of the information on internal combustion engines or associated products (like motor oil) found on the internet are to do with cars. In this post, I have tried my best to explain the concepts/details about engine oil, keeping motorcycles in mind. However as one can presume, most of the informative videos/animation I could find online, to explain a particular point, are mostly based on car engines. This is really not an issue though, as long as the subject of discussion is about basic properties and the use of 'Engine Oil'. Still you can find some videos and animations shared in this post, which are specifically created for motorcycles. This will not only help you understand how engine oils work, but also will enhance your general knowledge on the internal working of a motorcycle. Having said that, do keep in mind that the videos and other information (especially from the external sources/youtube) shared in this post belong to their respective publishers/authors and possibly copyrighted. Also based on only the information given in this blog, you shouldn't be trying out anything with your motorcycle which may harm the engine or the vehicle as a whole. In such case nobody but you would be responsible for the same. Now with the disclaimer is out of the way, without further ado, lets get cracking. Why does my motorcycle need engine oil ? Our motorcycles are driven by 'motors', which are nothing but a form of internal combustion engines. Simply put, it is a collection of mechanical parts which operate together to generate rotational power by burning a mixture of fuel and air. Now when I say mechanical parts operating together, that also means there would certainly be some form of physical contact between various parts which are mostly made up of metal (e.g. iron or other forms of alloy). Let's call the interaction between the parts as 'the rub'. Now if you imagine two metals rubbing against each other, you can guess that there will be some sparks coming out and there will be lot of heat and then, eventually the contact points involved in the friction will end up with some sort of wear and tear. Now an engine has no other go, in order to operate it has to function as a whole, i.e. an assembly of hundreds of (or more) mechanical parts. Parts which roll on or slide over other metal components and based on the duration the engine runs for or the RPM it is ridden at, the amount of friction will vary. MotoGP bikes reach up to 17000 RPM during the race. I know..its quite difficult to imagine such a fast rate of movement happening inside those small boxy motorcycle engines, isn't it ?!! Why don't to have a look for yourself in the following video clip and decide. I am sure you got the point now. With such kind of friction/interaction between metal components (various parts of the engine) put inside a metal container (engine casing), imagine the kind of heat it must be generating and the level of catastrophic wear and tear it can cause if it had to run dry (read along and shortly you will know what it means). Now to keep such a contraption in operating condition, a solution was required, which should be able to reduce the friction between metal parts to the minimum, which in turn will make the components generate less heat and reduce wear and tear. To achieve this, a thick oil based lubricant was invented, which is commonly known as 'Engine Oil' or 'Motor Oil'. It is a thick fluid created by adding synthetic components onto a base oil. This lubricant was filled inside the crank case, so that all operating parts stays dipped inside it during operation. Also there were channels and a pump to push it all the way up to valve heads (and cams). The engine oil circulates all around the engine (except inside the combustion chamber) and keeps all the moving components covered and hence avoiding metal to metal contact. During operation, when the engine starts to heat up, engine oil retains the thickness (i.e. viscosity) up to a certain temperature and carries the heat away as it flows through till the sump (a storage area at the buttom of the crank case. This keeps the engine components lubricated and relatively cool at all times of operation. How does the engine oil work inside the engine ? You would have understood by now that in today's date that almost all the vehicle manufacturers (may it be car or motorcycles) recommend multi-grade engine oil for all their vehicles. What multi-grade means is, the viscosity (or thickness) of the engine oil varies depending on atmospheric temperature, in different/extreme seasons (summer/winter). Before we get into multi-grade, let us first understand what a mono-grade engine oil is. This is the earlier version of engine oil which comes with a specified level of viscosity and retains the same up to a certain level of temperature range. Above which the oil thins out and below which the oil thickens beyond use, either way reducing the protection level. The issue with mono or single-grade oil was, in winters, during extremely low temperatures the engine oil would thicken further and at times becoming like semi-solid wax, making it difficult for the engine to start. Again in peak summer a single grade oil will lose its viscosity once the temperature around gets hotter than the standard operating temperature specified for the oil. So to deal with these 2 extreme weather conditions, manufacturers started using two different single-grade oils, one during summer and one during winter. Which means as a vehicle owner you had to get the oil changed to better suit the season you are going to be riding in. In the present day mono-grade engine oils are used in commercial or special cases where the environment the engine is intended to perform, doesn't vary much in temperature. PS: I am trying out a mono-grade engine oil on my vintage motorcycle currently. I will try and post an update on the experience in near future. Single-grade engine oils were the thing, until a technological breakthrough was made and a new type of motor oil was developed, called multi-grade engine oil. This had the amazing property to have a lower viscosity when the temperature outside was low and achieves predefined level of viscosity (i.e. gets thicker), when the temperature increases up to a specified range. This may sound strange contradicting usual concept of physics, but this was made possible by introducing some form of polymer into the base oil. When the temperature increases, the molecules of the polymer expands, in turn thickening the oil and increasing the viscosity. So there you go, now you know how it all works. What those numbers on an engine oil container means ? What is this synthetic engine oil that I am hearing about lately ? First and the traditional category of the base oil is developed from petroleum based crude oil. Synthetic oil is basically a highly processed form of crude oil (and some parts of it chemically manufactured), which is more refined than the mineral oil and supposedly possesses higher capability and performance. Synthetic lubricants are more expensive that their conventional counterpart. There is another variety which is slowly making becoming mainstream, is called Semi-synthetic lubricants for motorcycles. Which is nothing but a blend between the main two type of base oils, giving some benefits of modern synthetic lubricants yet costing slightly higher than mineral oil based lubricants. One point to note here is, synthetic engine oil is the next big thing in the automobile consumer market and hence has a huge revenue generation potential. Which is the reason you would find all big manufacturers (Mobil, Valvoline, Castrol, etc) are using most of their marketing budget to promote this product, this doesn't necessarily mean for all motorcycles (say vintage or iron barrel like Royal Enfield cast iron models) synthetic is a good idea. The reason for this beyond the scope of this post, so I will leave it here. May be when I get to write about what engine oil I use for my motorcycle, I can shed some light into that. Does engine oil needs to be changed at all ? These days I use my motorcycle for long distance touring only and rest of the days it remains in parking. Usually I forget to make a note of my odometer during an oil change. Instead what I do is, I try to check the condition of the oil before a ride and if looks fine to me for enduring the distance I wish to cover, I continue my way with a spare bottle to top up from (if required). Else I replace the engine and clutch oil with new. This method I don't recommend to newbies or if you have no idea what to look for in used oil. Not that I am an expert in this, but I have a fair idea from my experience with my bike, on how the oil looks like, before I know that it won't do the job anymore. If and when I switch to a modern motorcycle in the future, I would possibly stick to the manufacturer's recommendation for the initial few years. Is engine oil for motorcycles any different from that of cars ? JASO MA – This was the standard for single unit engines where the wet clutch, gearbox and engine used the same oil. JASO-MA oils don’t contain friction modifiers. JASO MB – This lower standard was for bikes that use separate oils for the engine, clutch and gearbox (e.g Harley Davidson’s and BMW’s). Then in 2006 JASO introduced…..
JASO-MA2 – This specification was introduced in 2006 for modern motorcycle engines. As well as being a higher standard of oil the JASO-MA2 approval means the oil is suitable for use in bikes with catalytic converts in the exhaust system. Now it doesn't mean all non-JASO (e.g. 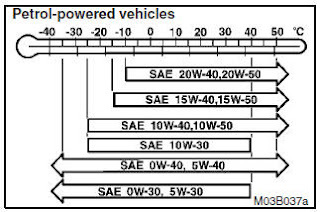 SAE) standardised engine oils are meant for both cars and motorcycles. Irrespective of which brand you pick, each bottle/container of engine oil will specify which type of vehicle it is best suited to. It should also provide information on the type of additives it has and what are the possible benefits. So while selecting a particular engine oil, do read the information on the container. I hope the information provided here was educational for you and you learned something, which you didn't know about engine oils today. In my opinion, from a motorcycle rider's perspective, this much of background knowledge about engine oil would be more than sufficient for you. However now as you have learned how important engine oil is for the heart of the motorcycle (i.e. the engine), you might feel like going through the user manual again. And I highly recommend you that to better understand the needs for your specific make/model of the motorcycle. Lastly, I am closing this post with few links to some more relevant videos and articles on this topic, which might be of interest to you.